All 16 private universities of State have joined hands to form the association to protect the common interests of the universities. From the last couple of years these private universities were frequent facing criticism from the opposition in Himachal Pradesh and other quarters. To protect their common interest these private universities have announced the formation of the Himachal Pradesh Private Universities Management Association (HP-PUMA). HP-PUMA will be deaded by Lovi Raj Gupta, Vice-Chancellor of Baddi University. The members of association met Himachal Pradesh Chief Minister Prem Kumar Dhumal and aware him about the development and also assured that the body will work in creating an atmosphere to impart quality education in the state. 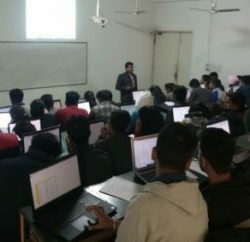 HP-PUMA asked Dhumal to involve it as a major stake holder in the Himachal Pradesh Private Education Institutions Regulatory Commission so that it can play a role in participative excellence in higher education.